So let's talk about this parenting thing? So easy, right? Said NO. Parent. Ever. It's probably the world's hardest job, next to being a Victoria Secret model. Waking up as a walking, talking goddess everyday? Pssshhh...no thank you (insert sarcasm). Lucky for you, I've got a few ideas up my sleeve that will hopefully make your life as a sober parent a little easier. Parents Magazine (yes, THAT Parent Magazine!) recently reached out to me to share a few of my household tricks and tips, you know the parenting hacks that help keep me fun, organized, and sane. I got to work on compiling my hacks. I'm brilliant at this parenting thing check 'em out! 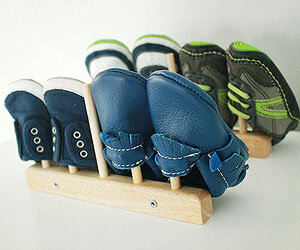 Shoe Organization: Aren't the feet of little humans SO cute? Keeping track of itty-bitty shoes on the other hand is not. to store and organize all those mini shoes. I find my racks at the Dollar Store. Sanity at the cost of $1.00. Sign me up please! Taming the Puzzle Pieces: Ugh! Have scattered pieces of puzzles, Legos, and Barbie's collection of plastic Louboutins taken over your home? Run out to the store now and grab yourself some inexpensive lingerie laundry bags! This has been such a practical way for me to tame the madness. Party Decor: If you're a regular here, I'm sure by now you know I love me a good party! A great way to keep costs down on party decor is to shop your own home. 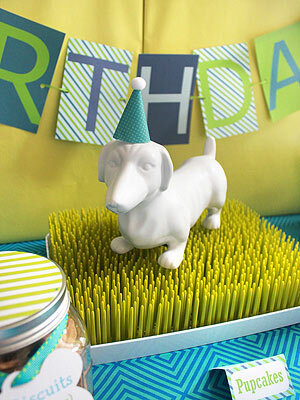 I spent countless hours searching for faux grass ideas for Little B's Doxie Puppy Party, then one day while drying out his bottle it hit me. Duh! The grass drying rack we have would be perfect for my table decor! 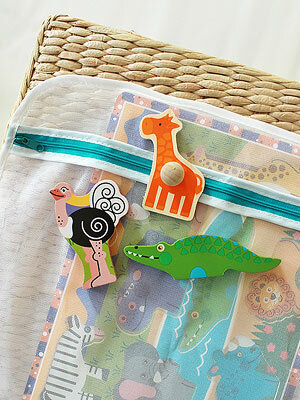 Your kid's toy stash is a gold mine for cake toppers, place card holders, and so much more! Have I wowed you yet? Want more? Make sure to head on over to Parents.com to see the rest of my feature and hacks! I love hearing what other parents do to make life easier! What are some your simple tips and tricks?